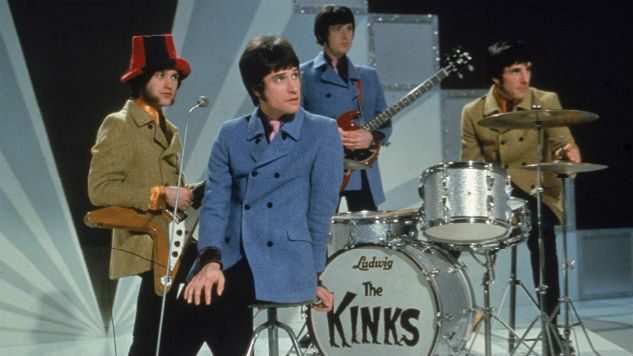 Along with The Beatles and The Stones, The Kinks were one of the most influential bands of their era. Their appeal and success extended far beyond the British Invasion in the ’60s, as they continued to garner critical and commercial acclaim, churning out records up until 1993’s Phobia. Their most famous release was their 1968 concept album, The Kinks Are the Village Green Preservation Society, which painted a picture of traditional English life and an idealized world of beauty, silence and solitude. The Kinks released their self-titled debut album in 1964 and by 1972, they had already released 10 studio albums—most recently their 1972 double LP Everybody’s in Show-Biz. Without much explanation, The Kinks refrained from performing in the U.S. from 1966 through early 1969 but did tour in support of Everybody’s in Show-Biz, which was well-received in America. On this day in 1972, the band performed at The Kennedy Performing Arts Center in Washington D.C.
That night at The Kennedy Center, The Kinks performed some of their biggest hits—”Lola,” “Well Respected Man,” “You Really Got Me” and “All Day and All of The Night”—as well as covers of Little Richard’s “Good Golly, Miss Molly” and Chuck Berry’s “Little Queenie.” This live recording features Ray Davies (vocals, guitar), Dave Davies (guitar, harmonica), Mick Avory (drums), John Dalton (bass), John Gosling (keyboards), John Beecham (trombone, horn), Michael Cotton (trumpet), Alan Holmes (flute, saxophone) and Dave Jones (saxophone). Listen to The Kinks perform on this day in 1972 below.